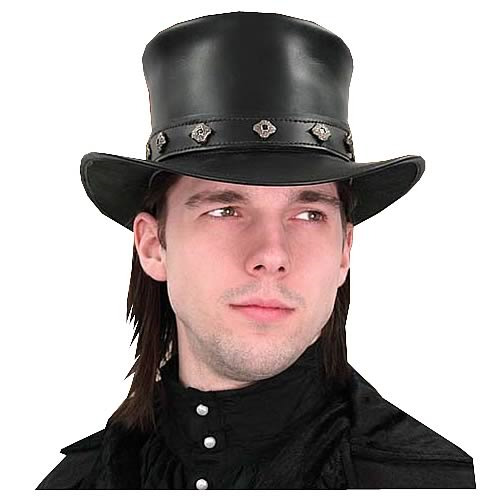 Top-quality Steampunk Leather Top Hat! Accented with antiqued silver studs! This top-quality Steampunk Leather Top Hat is fully shaped and accented with antiqued silver studs. It stands 4 1/2-inches tall and is available in sizes S (7 1/4-inches), M (7 1/2-inches), or L (7 3/4-inches).